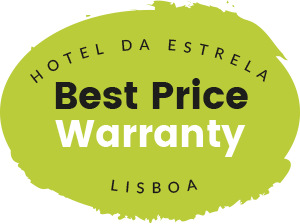 From cultural visits to romantic picnics, Hotel da Estrela has selected the best offers for you, so that your stay is truly unique. Discover Lisbon while enjoying a relaxing stay in the traditional Campo de Ourique neighbourhood. Surprise your partner and enjoy a memorable stay for two. Surprise your partner and enjoy a memorable stay for two, while enjoying a wonderful picnic in a hidden garden in Lisbon.